Acacia Flooring has a very distinctive clear yellow rich colour with subtle orange hues. There are no substitutes to the subtle nuances of the woods light grain and colour as you feel its bright character only available from an exotic species of wood like Acacia. The style and special characteristics that this wood will bring to your home are undeniable. If you are looking for exotic wooden flooring Maples and Birch are the ultimate destinations in the UK. To have real solid or engineered Acacia Wood Flooring will really bring a room to life and give your house a distinctive yet subtle quality. 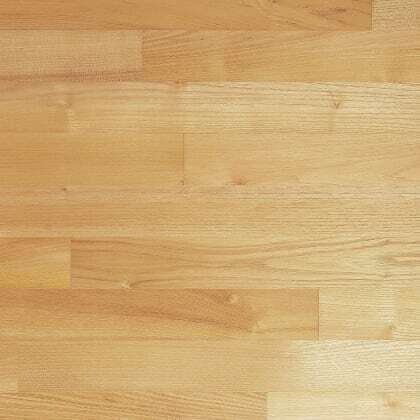 Comming from a strong a sturdy tree in West Africa, Acatia Flooring is a dark wood with subtle light hints that give this floor a distinguished character. It is a wood that will look good in many rooms including halls, dining room, bedroom, kitchen and even bathroom. The KENS074-ENG Acacia is for those who appreciate the finer things in life and must not be confused with the lower graded Rustic Acacia, there is no substitute with the subtle nuances of woods rich grain and colour as you feel its warmth and character only available from an exotic species Produced to Order / 6 Weeks Acacia is as vaired in light colour tones as any exotic species making eack plank disticntive with a light grain and is available in this engineered structure, as a protected species Acacia is becoming harder to source and is produced to order with a Lifetime Structural Guarantee. Lacquered 2v Micro Bevel Select Grade Engineered T&G 16mm x 90mm x RL 1.00m2 coverage per pack Also available in Unfinished or Oiled .. The KENS074 Acacia is for those who appreciate the finer things in life and must not be confused with the lower graded Rustic Acacia, there is no substitute with the subtle nuances of woods rich grain and colour as you feel its warmth and character only available from an exotic species Produced to Order / 6 Weeks Acacia is as vaired in light colour tones as any exotic species making eack plank disticntive with a light grain and is available in this engineered structure, as a protected species Acacia is becoming harder to source and is produced to order with a Lifetime Structural Guarantee. Lacquered Micro Bevel Select Grade Solid T&G 14mm x 90mm x RL 1.00m2 coverage per pack Also available in Unfinished or Oiled and in thicker plank size 23mm to order. ..